Welcome to Rove, where the best is always getting better. 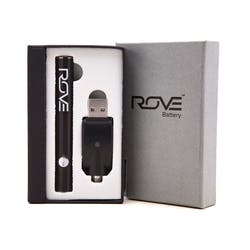 The enthusiasts behind Rove noticed the cannabis industry’s growing interest in vape pens and cartridges. Already established in various arenas within the marijuana industry, they looked amongst their peers and individually came to the same conclusion: “we could do a lot better with more transparency.” In 2015, they quickly banded together to combine their wealth of cultivation, extraction, and laboratory experience to create Rove. Their tremendous growth started on day one. 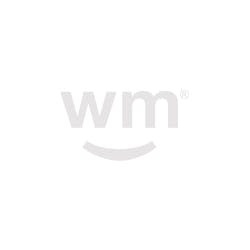 Initially working with a small number of outlets, their products were met with an uncommon enthusiasm. Each week saw Rove opening new dispensary relationships with more and more demand for their products. Today, Rove products can be found in over 50 shops and deliveries throughout California. 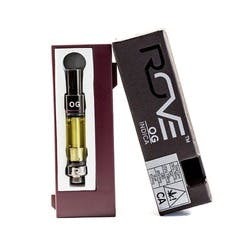 Rove takes great pride in using a true solventless CO2 extraction method. While many other manufacturers boast about using a refined CO2 process, they still end up using solvents after the extraction process. Rove doesn’t. 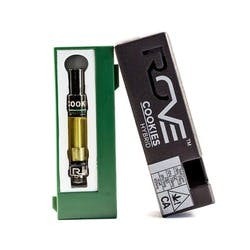 Rove’s CO2 extracts using liquid carbon dioxide which they then refine utilizing only heat and pressure. Although this process can be painstakingly time-consuming, the end result of producing a thinner and cleaner oil for their patients is more than worth the effort. 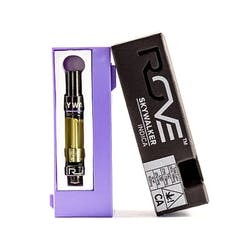 Rove is renowned for their simple, tasty, and dependable vape cartridges. Portable and discreet, the aim of their cartridges is to provide ultimate convenience no matter where you are or what you’re doing. Each oil is mixed with natural terpenes to provide authentic and pure flavors with each inhale and exhale. 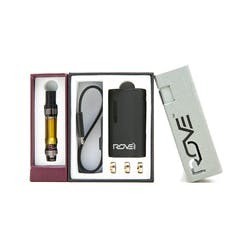 Believing that dependability is the fundamental cornerstone with vapes, Rove uses a high-quality stainless steel and pyrex cartridge equipped with a sure-fire dual coil atomizer. They use a Top Flow air channel system which allows more air to enter the chamber and for more oil to be vaporized, making for a better, easier hit each and every time. 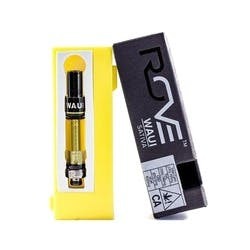 Their top flow cartridges also make for longer lasting batteries and minimal oil leakage. 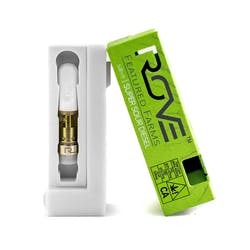 Rove proudly tests their products with SC Labs. They test for all cannabinoid potency, ensuring the levels of THC and CBD in each cartridge. They don’t test for solvents, because…well….they don’t use any. 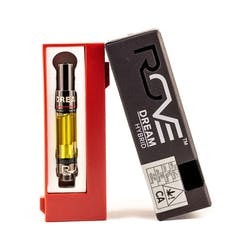 Since entering the cannabis scene in 2015, Rove has continued to grow exponentially, collaborating and building relationships with like-minded cannabis devotees. Each of their products is made using 100% California grown cannabis, working closely with growers and farm collectives. 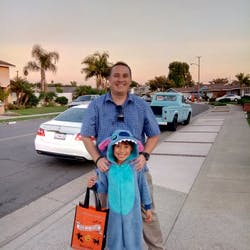 Their products can be found throughout all of California, including South Coast Safe Access, Orange County Cannabis Club, Downtown Patient Collective, and Green Tree Remedy. Potent, Clean, great flavors & best designs!